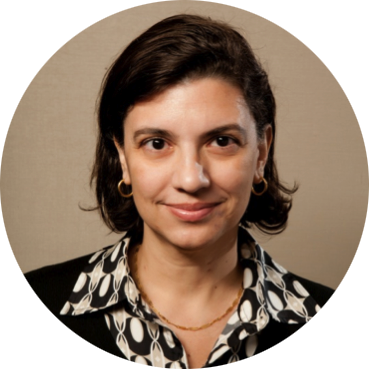 Dr. de Souza Lima is currently an Advisor for PASS. The geographic scope of her career is matched only by the breadth of her experience. Her path has taken her from her native Brazil to Switzerland and the Dominican Republic, among others. Her early practice of ophthalmology served as a springboard into an impactful tenure in pharmaceutical development. At PASS, she combines her joint passions of global health and innovation—and in this PASS Team Spotlight, Dr. de Souza Lima shares the lessons that she has learned along the way. 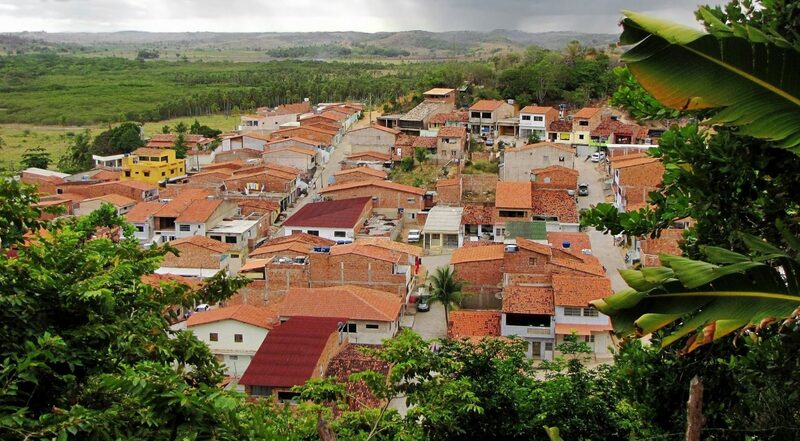 Could you share a little bit about your education in Brazil? What first interested you in the medical field? The thread in my career has always been the patient: finding the most meaningful ways to help the patient. The medical school I attended focused on public health. The goal wasn’t to train doctors to diagnose rare syndromes; it was to address the issues of the country and diseases that were common in the population. For 3 months of my training, I went to be the local doctor of a small town. It was my first opportunity to get to know a community and deeply understand its resources and challenges. Honestly, it was a challenging time for the whole country because the Brazilian economy was totally unpredictable. Prices in the morning were different from prices in the afternoon. It was impossible to plan for the future because you never knew what price you were going to be paying in a month, let alone in a year. Eventually I came to the U.S. and began to pursue a career in pharmaceuticals. Since I had already practiced ophthalmology in Brazil for about 10 years, I knew there were many problems in my field that didn’t have solutions or drugs. So, I joined the team bringing first-in-class drugs to market. But public health was in my blood, so I started a non-profit pharmaceutical company with some friends. We partnered with a for-profit company that made drugs for the developed country market, which we planned to adapt for the developing country market. Unfortunately it was 2008, and the financial crisis stopped us short. Our investors pulled out and it was impossible to survive on grants at the time. It’s an example of how crucial and fragile funding can be for public health initiatives. It was still a valuable experience for me, because it led me to think about policy and advocacy. I went to work for the Sabin Vaccine Institute and the Global Network for Neglected Tropical Diseases, and now I have a good sense of the global policy and international aid systems and how they interact on the different levels, from local politics and laws to human resource capacity and infrastructure to international regulatory frameworks and global trends. I joined PASS because I can draw upon this rounded experience while helping a young company grow! It was a natural next step for me because PASS’s mission focuses on systemic solutions. I can focus on health, but also integrate my work with other issues. Nothing happens in isolation. We can’t solve global health without also looking at the political, economic and social determinants of health. It sounds like your prior work with Neglected Tropical Diseases is a great example of this systemic approach. Could you share a bit about why this has been such a passion? Neglected Tropical Diseases, or NTDs, are known as diseases of poverty because they disproportionately affect people who are in low-resource settings or otherwise neglected. There are many different categories, but most people in developed countries have never heard of them. NTDs are a direct reflection of people’s living conditions, and they are part of everyday life in a lot of developing countries. Children face some of the direst consequences because NTDs can keep them from attending school and impair their cognitive development. Some diseases like trachoma and onchocerciasis can have irreversible consequences like blindness. Beyond poor healthcare infrastructure, what are other factors that make intervention and treatment difficult? Weak health systems are part of it, but these people are usually in hard-to-reach areas with basically no health system. The issue is also dependent on social determinants of health, like basic sanitation. For example, with trachoma, people get infected through contact with the discharge from eyes and nose of people with the disease. Trachoma can also be spread by be eye-seeking flies that land on people’s eyes to feed. Interventions can be really simple, like the SAFE strategy, which stands for Sanitation, Antibiotics, Face-washing, and Environmental changes. But building this kind of awareness is challenging. When I was at the Sabin Vaccine Institute, we were tasked with creating a movement for NTDs and building awareness. At the time, HIV and malaria were dominating the conversation. Even though NTDs affect more than a billion people, they weren’t receiving any attention because they aren’t usually fatal. Rather, they disable and lead to cognitive delays and disabilities, which is less dramatic and more challenging to advocate for. From a communications perspective, we were not only creating public awareness campaigns, but also working directly with everyone, from donors from international agencies to high-net worth individuals to development banks. Anyone we could work with to keep our initiative moving! We also relied on the influence of Ministers of Health and other government agencies like the Ministry of Education. Sometimes we even went straight to congress or parliament to draw attention to these diseases. It was a global communication strategy in every sense because you need a wide variety of stakeholders to make it work. In 2012, the Gates Foundation unveiled of the London Declaration to eliminate NTDs by 2020. It was signed by development partners in the public and private sectors, endemic countries and implementing NGOs. It’s important to mention that most of the drugs needed to treat these diseases are available on the market, and are usually donated by pharmaceutical companies. The main issue is distribution and logistics. We need human resources for health, political will at the country level, and a physical pathway to reach people in remote areas. So on an individual scale, people need to know how to stay healthy, but at the policy level officials need to understand the origin of the problem and pipeline for change. That’s a lot of knowledge to build before you get stakeholders to buy into your work! At the higher policy levels, you’ve got to figure out how to prioritize this issue above others or find ways to integrate this issue into other programs. At the local level, you need reach the people and need to convince them to take that pill. There are different models to make this happen, but if you want your program to reach scale, the best is to find a way to work with the government. NTDs are a global issue and the treatment programs have reached an unprecedented scale: more than 2 billion pills have been distributed to more than 1.5 billion people. Compare that to HIV, where you’re talking about 30 or 40 million people, and you can understand why working with the government is crucial. At the same time, sometimes things get derailed, and it doesn’t take a catastrophe at the governmental level. These drugs are really safe, but sometimes people get the wrong impression. With intestinal worms, for example, patients may feel ill because the worms are dying – that’s how rumors start. Organizations need to step in quickly to dispel rumors and ensure that people continue to get treated. That being said, the NTD movement has been a very successful global public health program because countries and governments understand that they are treating their population for the future. Healthier people who can go to school and reach their full potential will help the country develop. With that eye towards the future, what is your vision for the role of new drugs and technologies in areas that may lack some of the basic infrastructure for healthcare implementation? This is another area of passion for me because I have worked in developing drugs and I also have a passion for helping people in countries like the one I grew up in. There is a lot more awareness today than there was 10 years ago when basically no drugs were being developed for these diseases. Now, not only do we have more drugs being developed, but we can also track who is developing them and who the investors are. So it’s much easier to identify and address gaps in coverage. Several organizations now focus on developing drugs for these neglected diseases and establishing partnerships with pharmaceutical companies. Money remains an issue, but things are slowly improving. The technology available has also adapted really well to the resources you typically have at hand and the everyday technologies people use in their lives. The cell phone is a great example. These days, you can attach just about anything from microscopes to ultrasounds. There is so much room for growth because you can see the markets developing in these countries. People are beginning to rise out of poverty, which allows a local private sector to grow and generate jobs. Much of the population living in poverty these days lives in emerging economies and middle-income countries. In the end, it’s political will and prioritization of public health policies that will lift people out of poverty so that they can contribute to the development of their own countries. In addition to the positive potentials of new technology, how do you expect your sector to change in the coming years? What challenges and growing pains do you foresee for countries with emerging markets? In Brazil, the constitution defines health as a human right, and that’s what I believe. Healthcare should be universal, and I think that’s the direction the field is going in. People are beginning to see health as a part of a larger whole. In other words, there is more focus on health systems and all the interlocking factors that make them work, including human resources and incentives to keep educated people in the country. That’s an important shift: less focus on vertical programs and more focus on the relationship between health and development. A shift in funding, a dip in political will, or an emerging conflict can impact the entire field. For example, if you’re trying to eliminate a disease, and you don’t have the necessary coverage one year, you’ll lose ground because people get re-infected. You could end up back at square one. This is not the time to stop investing in global health. Given the importance of the larger systems at work, can you share some broad lessons you have learned from working alongside so many different governments, healthcare systems, and economies throughout your career? What I saw across all these different levels and scenarios is that there are good people with good intentions everywhere. Even if the systems or incentives are bad, the solution is not a secret. People know what needs to happen in terms of aid effectiveness, and their intentions are always the best. They might be working in a pharmaceutical company in the U.S. or Europe, or they might be a community health worker in a remote area. The point is they all want to help. Despite all the challenges, as long as people are willing to try, we will continue to make progress. How do you maintain this level of optimism? I can’t give up. If you look at the people you’re trying to help, in many cases they can’t help themselves. As human beings, we can’t let that happen. Yes, there are challenges, but the problem wouldn’t be there in the first place if it were easy to resolve. This is how the world progresses and this is why we have had so many wins, from the development of vaccines, to the decrease in childhood mortality, to the close elimination of diseases like guinea worm and polio. These things are hard, and they are going to happen. The good in people will keep pushing them. What are your biggest concerns and what gives you hope? Running contrary to the focus on systemic improvement, there is also an unfortunate recent trend toward individualism and lack of inclusiveness. Individuals are trying to resolve personal problems at the national level, but the next generation gives us reason to hope. What you hear from young people is that this will not continue. They’re not going to take it. I think the future will be bright as people get more engaged in the issues of the world and understand that we can’t be isolated any longer. No Replies to "Focus on the Relationship Between Health and Development"
PASS is a flexible strategic consultancy partnering with a variety of stakeholders around the world to achieve shared global goals. DISPATCHES from PASS is the monthly email newsletter from PASS. Sign up today.